A well-designed training program for ladies has certain differences from the program for men. The main reason is the peculiarities of the female body. It is important that the training program for women allows them to achieve their goals, without straining to the limit. 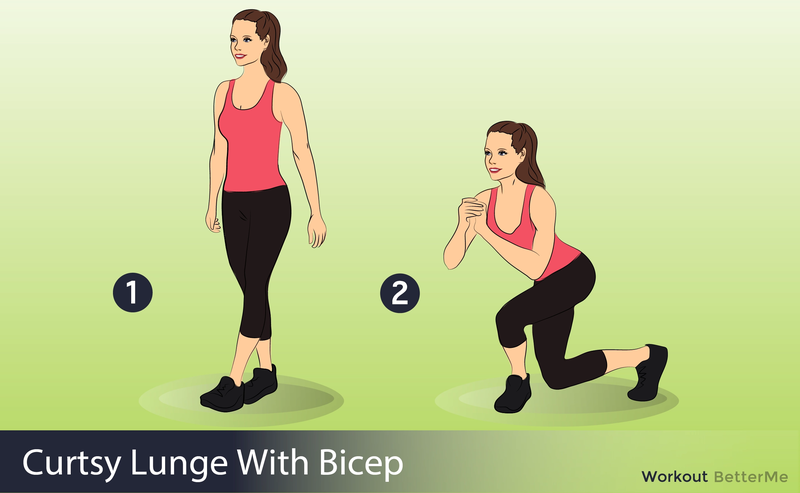 This workout is aimed at developing the muscles of the upper body: arms, back and abs. All you need is a dumbbell, a sports mat and a little of your time. During the training, the muscles of the arms will be carefully and variously developed, which, as a consequence, will work out your abs and the upper back. #1. Standing Core Rotation. Stand on the floor, take a dumbbell in your hands and make core twists to the left and then to the right. #2. 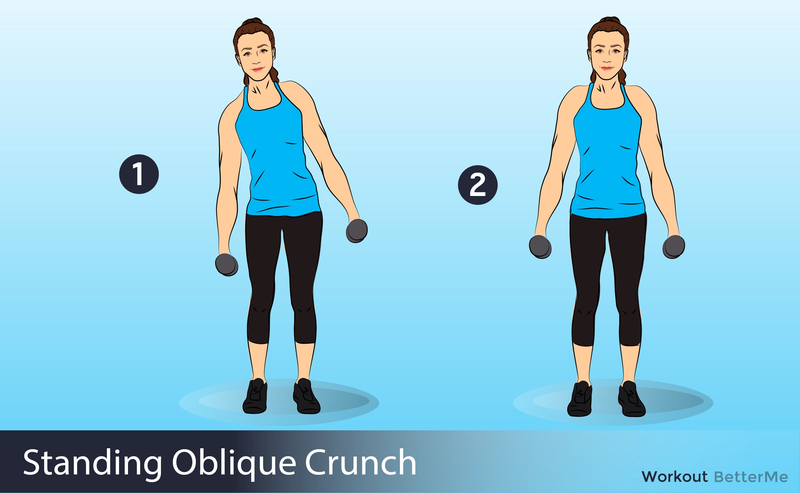 Standing Oblique Crunch. Stand on the floor, place your hands on the back side of your head. Then lift your knee to the side and try to touch it with your elbow. #3. Single-Leg Forward Reach. Stand on the floor. Lift your right leg back and bend your core forward with your arms parallel to the floor. #4. Good Mornings. Stand on the floor, place your hands on the back side of your head. 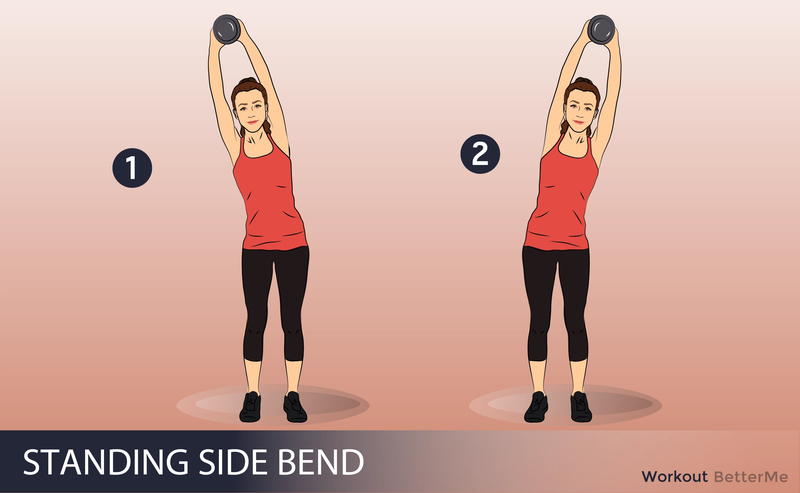 Bend your body in the waist. #5. Front Lunge With A Twist. Stand on the floor, make a lunge and twist your body to the sides. Do three sets of this workout: 30 seconds, 40 seconds and 50 seconds. Try this workout today! 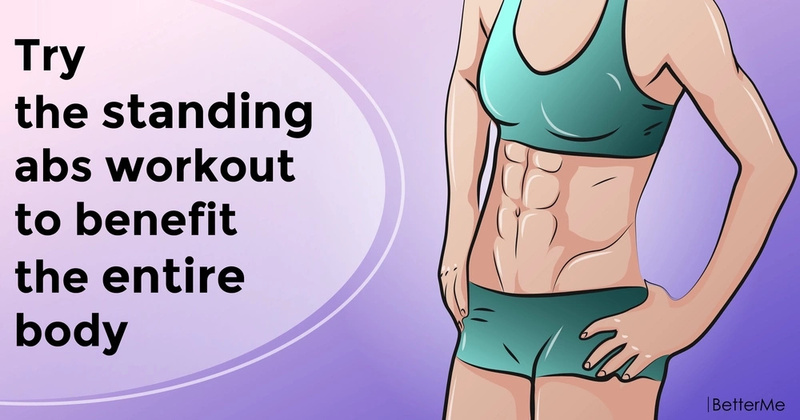 Scientists have concluded that women who train three times a week, achieve more significant improvement in the body compared to those ladies who walk three times per week (although walking is better than sitting all day long). The feeling of one's own strength fills the body and mind with confidence.